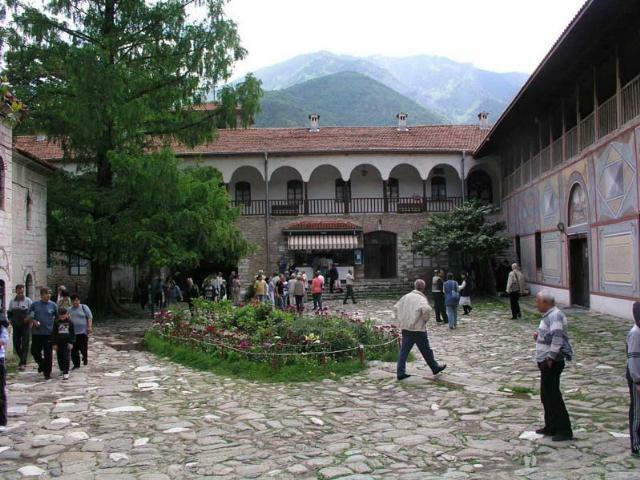 Bachkovo monastery was set up in 1083 by the Georgian brothers Grigoriy and Abasiy Bakuriani, who were commanders of Byzantine Emperor Alexiy I Komnin’s army. The Emperor granted them the lands for their military services where later the monastery was built. 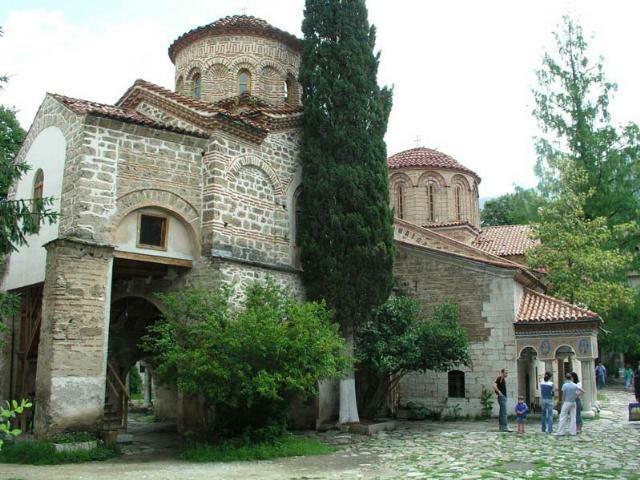 The monastery became part of the Bulgarian state in 13 c. It was lavishly endowed by the Bulgarian Tsars Ivan Assen II (1218-1241) and Ivan Alexander (1331-1371). The vault of the ancient monastery dining room features the genealogy tree from Abraham to Christ, the 12 ancient Greek philosophers and the sittings of the Ecumenical convocations. The marble table dates as far back as 1601 and has a eight-line inscription. The big monastery church “The Assumption of Mary” is a fine example of sacral architecture. It was built in 1604 and was never shut to worshippers during the centuries. The Bone Vault is also a place of interest, where murals form 12, 14 and 19 centuries have been preserved. The Basilica features the paintings of the monastery founders in full length and the one of the Bulgarian Tsar Ivan Alexander. 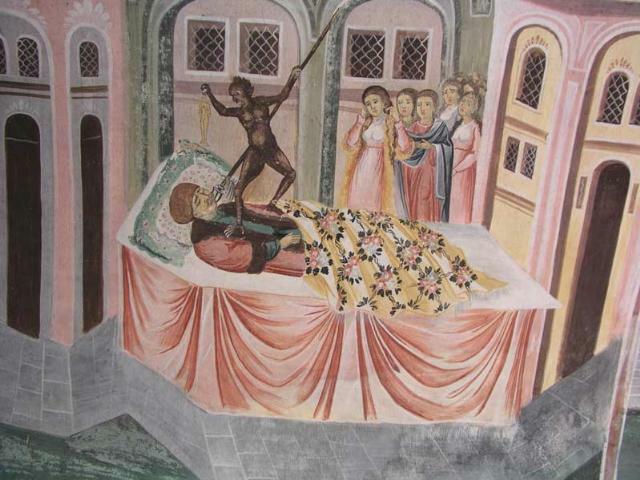 The Bachkovo Bone Vault ranks among the best achievements of medieval painting with regard to its artistic merits. Many icons from 1793, the Great monastery panorama, the church “Saint Nikola”, painted by Zahari the Icon-painter, the monastery entrance and its new arch are among its unique features. The rock in whose cave the Miraculous icon was preserved at the time of the burning down of the monastery is also in the monastery vicinity. 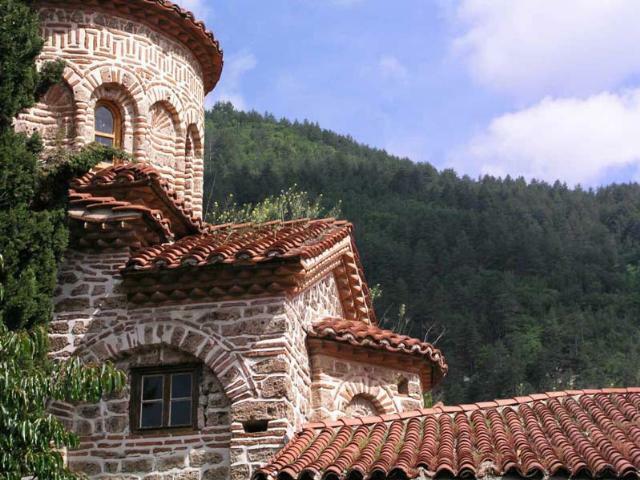 Bachkovo monastery is a national cultural monument and is the only one in Bulgaria which has performed its functions from 1083 to date, without closing even for a day!! !